Kick off your visit on the 22nd (Sat): grab your bike and head to Poray Biclaturs & Rentals, then wander the streets of La Condesa, and then look for gifts at Tinta Naranja Urban Gallery. On your second day here, explore the activities along Lago del Bosque de Chapultepec, delve into the lush surroundings at Chapultepec Park, and then take a stroll through Polanco. To find ratings, photos, reviews, and more tourist information, read Mexico City itinerary maker. Use the Route module to find travel options from your starting location to Mexico City. 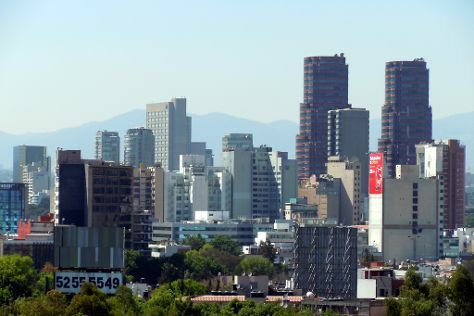 In April, daily temperatures in Mexico City can reach 31°C, while at night they dip to 15°C. Wrap up your sightseeing on the 23rd (Sun) early enough to travel back home.